Take it to the streets! Modeled after some of nearby Pittsburgh, Pennsylvania’s architecture, The Streets bring those urban missions right to your doorstep.This hike park is full of handrails, wallrides, stair sets and other urban inspired terrain. Check out the streets nestled right in front of the legendary Foggy Goggle. Top to bottom bliss. Rails, boxes, jumps and hips snake their way down the North side of the mountain in quick succession. 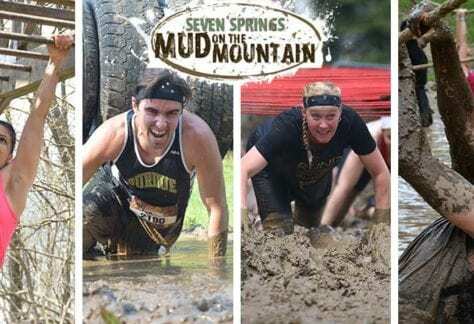 They Alley is a proving ground for riders looking to step things up! Access the Alley below the Blitzen and North Pole lift. Slide over to the North Face of our mountain and drop into North Park. You’ll find a beginner friendly zone full of small features, bank turns, and transitions. The perfect place for skiers and snowboarders to zero in their riding. Santa has got the goods! The Beard is wear we first got hooked on park riding. Featuring a rope tow and an ever changing lineup of small to medium features, count on Santa’s Beard to strengthen your park ability. Santa’s Beard is left off of The Polar Bear Express immediately after Arctic Blast. Arctic Blast is a great area to get a feel for the terrain park with an assortment of progression features. 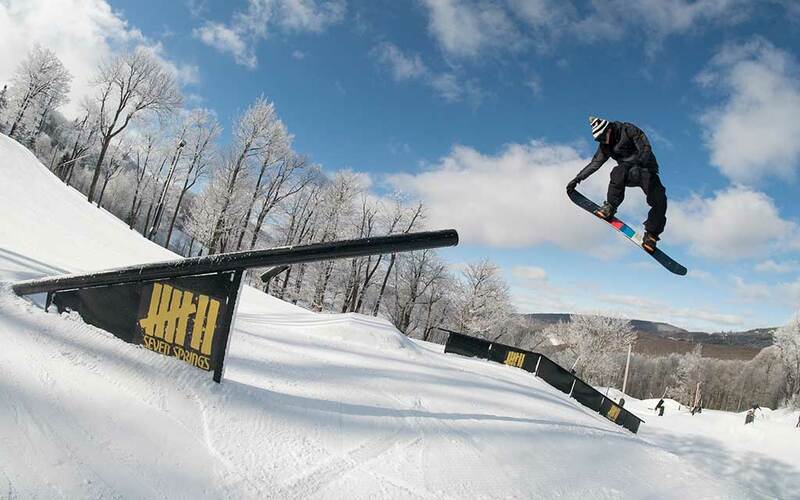 This park includes small rollers, boxes and bank turns to get familiar with freestyle terrain. 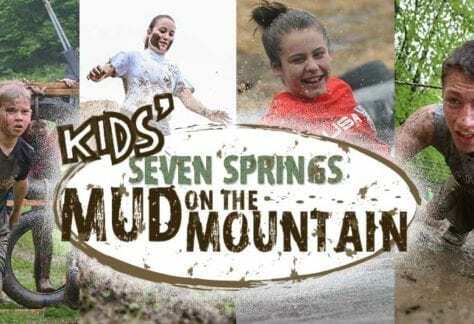 Take the kids for a rip through the tunnel! Check out Arctic Blast as you get off the Polar Bear Express. The Superpipe gives us the opportunity to host major qualifying events, bringing in elite athletes competing for the dream of making the U.S. 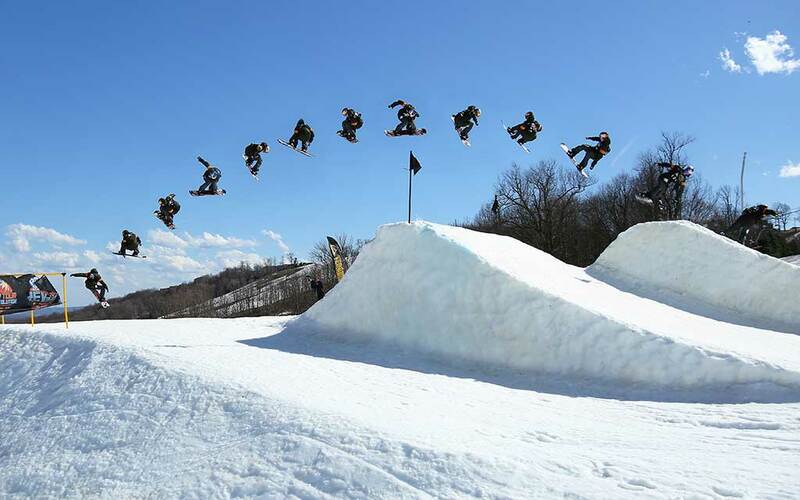 Ski and Snowboard Team via events such as the U.S. Revolution Tour. 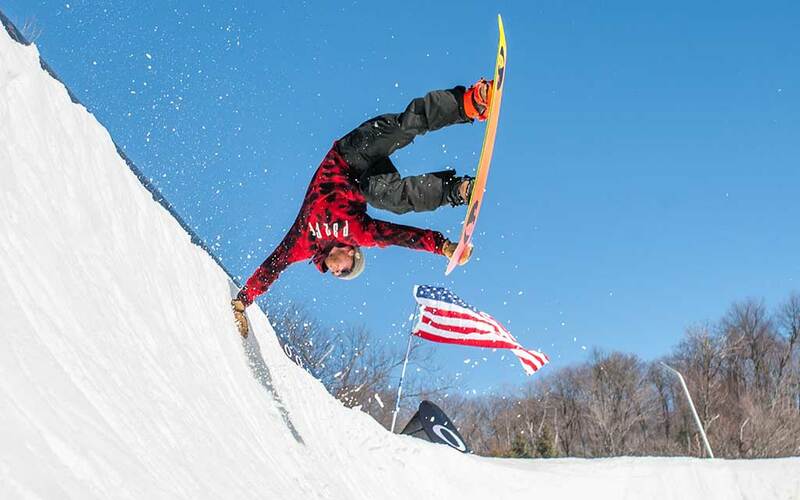 For Mid-Atlantic skiers and snowboarders, the pipe is also an opportunity for our local and regional athletes to develop their skills and work toward competing at the highest levels. 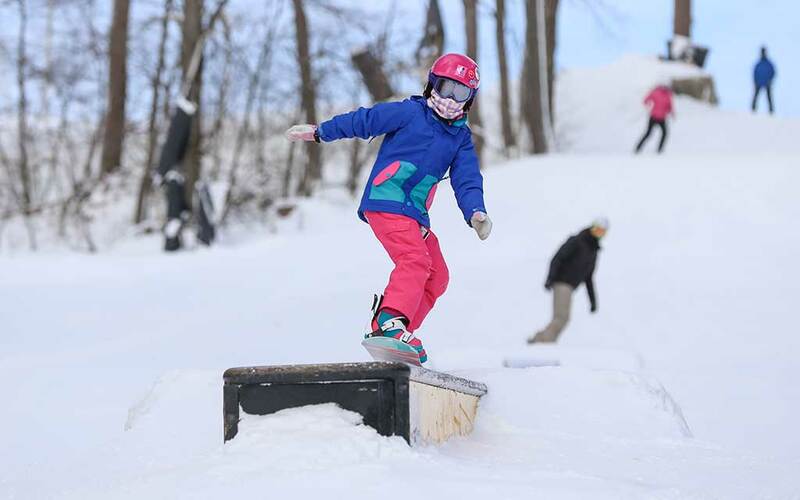 Each year, the goal of the Seven Springs Parks & Pipes team is to provide progressive parks that cater to skiers and snowboarders of all ability levels, creating the perfect place to learn and grow new skills. 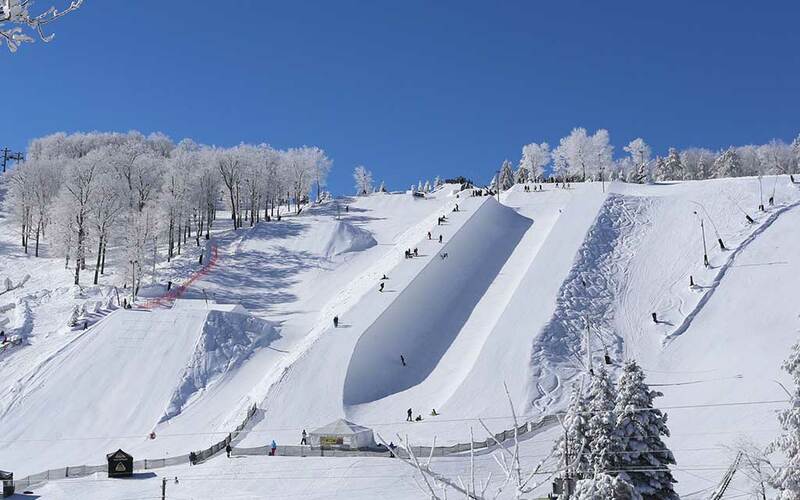 The Superpipe represents the highest levels of those ambitions. Some of the most iconic East Coast park action took place here! 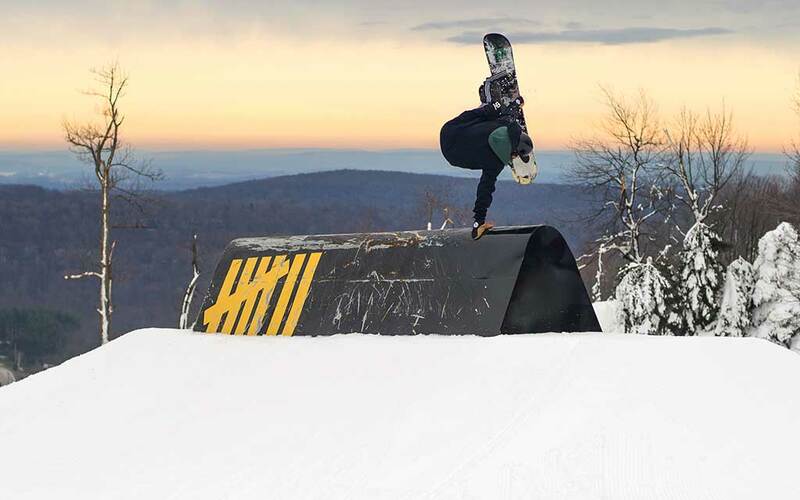 With the Spot’s iconic view from the parking lot, wave to your friends as you slide through some of our most advanced jumps and jibs. Find the spot immediately to the left of the North Pole lift.